Small South American primate with strong claws instead of nails that it uses to cling to the trees it lives in. Common primate of Asia with a nonprehensile tail living on the ground and in trees; it is often used for laboratory experiments. 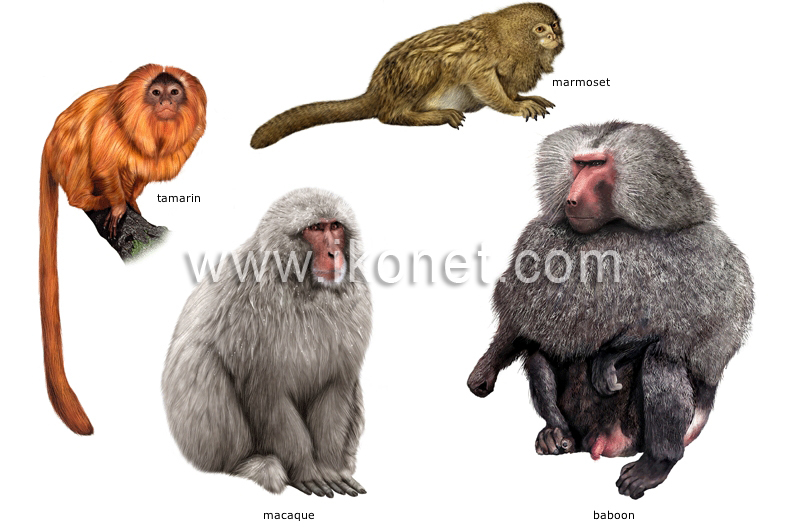 Mainly terrestrial African primate with colored ischial callosities and large cheek pouches in which it stores food. Small hopping primate of South America with elongated claws instead of nails that allow it to move about and to feed.